This landing gear leg material is PA and GF, solid, stable and not easy looseness. Heightened and shock- absorbing, suitable for various kinds of ground. It will increase 3.5cm height, effectively protect gimbal and camera. The landing gear is able to takeoff or landing even in harsh environments. To prevent the gimble, will be dirty or damage when taking off or landing. 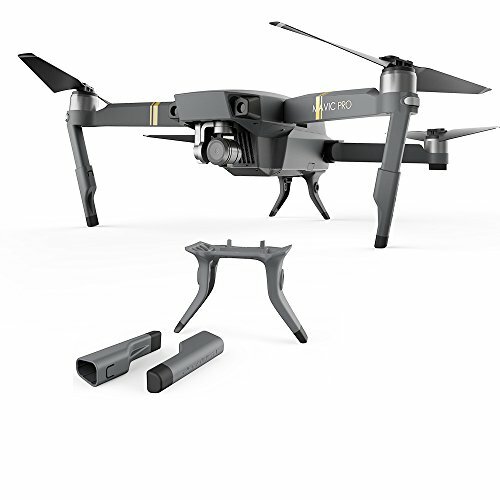 What You Get: 1 x for DJI Mavic Pro Landing Gear Kit. 1 year warranty time and our friendly customer service. If there is any question please feel free to contact us.